For aerial surveillance, remote sensing via satellite "is cheap because it saves time and costs". 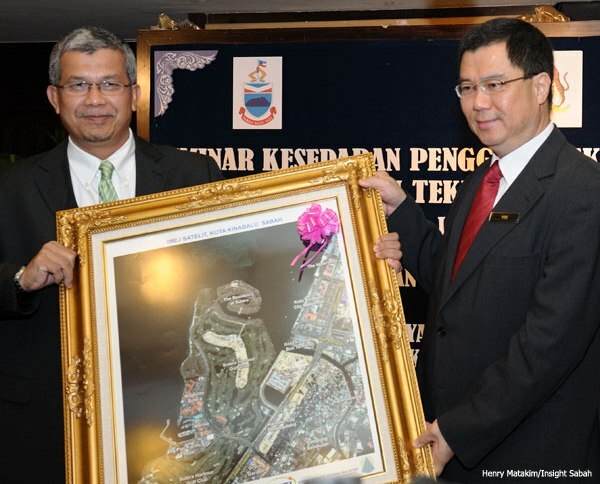 That's what Datuk Darus Ahmad, Malaysian Remote Sensing Agency Director-General said back in March 2010 when his department organised an awareness seminar at Hyatt Regency hotel in Kota Kinabalu that year. I am sure it is 'very' cheap now looking at the circumstances Malaysians in Sabah are now facing. Large state like Sabah requires technology that is fast and effective for a wide range of fields such as agriculture, the environment, land develop­ment and security. If it is available, use it! In today's perspective, Sabah is facing security threat from intruders and surveillance using airplanes is not only expensive but tedious and limited in terms of availability. In the eastern seaboard, we are talking about 1,500km of coastline. Needless to say it is a huge area to cover and we certainly need to put in more assets, including better surveillance system. For aerial surveillance, remote sensing could and should be one of the options. We have this technology. Use it. With this method, one can take fast and accurate aerial photographs via satellite compared to traditional methods. Of course, aircraft need to make their patrolling, too. A roar in the sky scare the birds away, so they say. Back then, Sabah Forestry Department was the only state department to fully utilise remote sensing technology to manage forest resources in Sabah. It is high time that other departments, too, make similar move. If the technology can by used by the Forestry Department to monitor logging activities in the forests, it can also be used for monitoring the coastline round the clock.